I just got back from a first-time trip to China, and my head is still spinning. Not from the jet-lag (though that’s still fogging things up a little), but from trying to sort out everything we saw. It’s one thing to read about a country that’s rapidly growing and changing, but another to see, first-hand, the astonishing history that’s being made. The scale is overwhelming, and so are the contradictions. We passed through a little-known city in southwestern China, Chongqing (formerly Chung King). It’s the largest metropolitan area in the world, approaching 40 million, and has a massive, glitzy skyline that looks like a cross between New York and Las Vegas – modern, rich. Then we saw that our luggage was being carried from a van to a boat on bamboo poles, balanced on the backs of laborers straining under loads of hundreds of pounds. Just the way it was done 200 years ago, in the shadow of neon-flashing skyscrapers. Sleek high-rises are everywhere, with more popping up daily. Shanghai alone has built over 6,000 skyscrapers higher than 35 floors just in the past 20 years. That’s 300 a year. But those shimmering buildings can’t hide the bitter poverty of the vast majority of Chinese, with disabled beggars lining the streets near every tourist attraction. The most blatant contradiction we saw is the country’s basic governing philosophy. Officially, it still reveres Mao. In souvenir shops we saw his likeness plastered across books, key rings, coffee mugs and T-shirts. But in reality, the country has essentially rejected his fundamental economic views. It seems that China has adopted Wild West-style capitalism – buying, owning, building, selling, making fortunes, all with little regulation. And the Chinese are using their new prosperity to buy into Western culture on a massive scale, with more signs for Starbucks, KFC, 7-11, Subway, Hagen Daz, Gap, Hooters and Apple than (it seems) noodle shops. 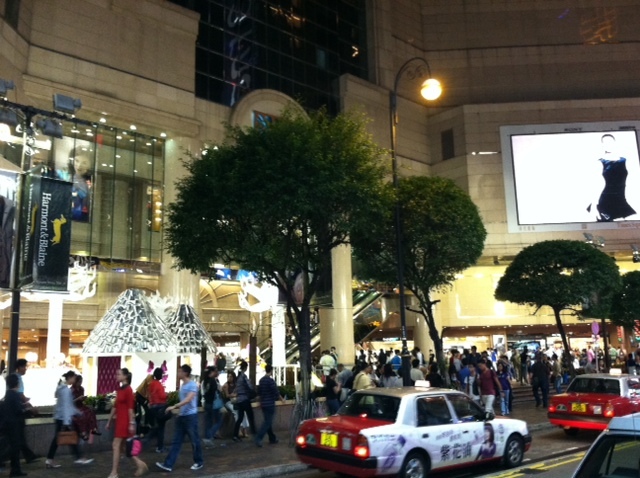 And more shops for the economic elite, like Prada and Hermes, than we could count. The dress is Western, the ads are Western, and the people seem to love Americans. I was tempted to stand in the endless line leading to Mao’s tomb in Tiananmen Square just to see him spinning in his grave. The educated young people seem to accept all this. Those smart and lucky enough to succeed on the national academic tests are pouring into the big cities by the million, from farms and small villages, to attend college, get a small apartment in a new high-rise and begin leading a Western-style life. Our tour guides fit this mold. They understand the miracle of China’s booming economy as well as the long-term questions it is raising about the billion-plus still living an 18th-century life in the countrysides. And they realize that they don’t enjoy many of the basic freedoms that the Western world sees as sacrosanct.